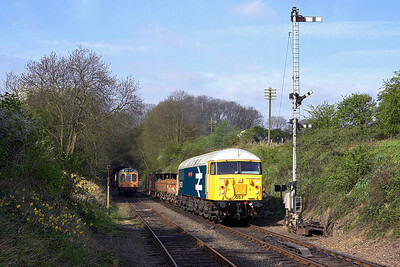 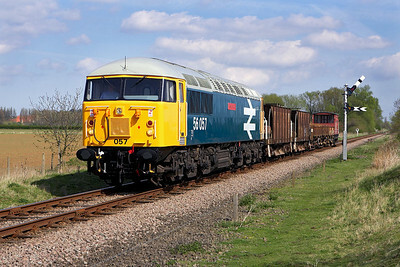 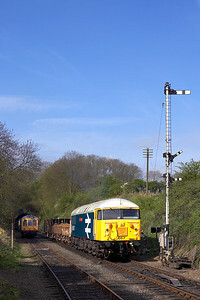 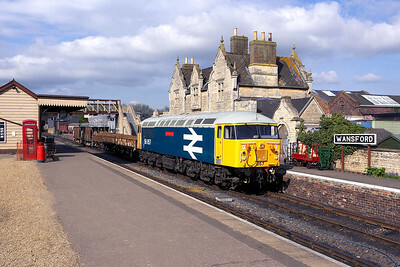 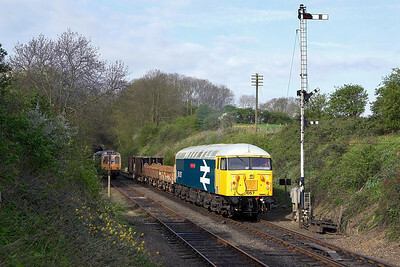 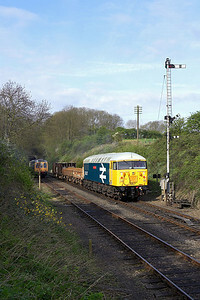 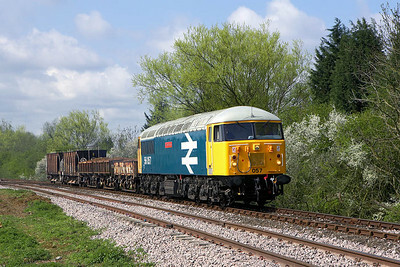 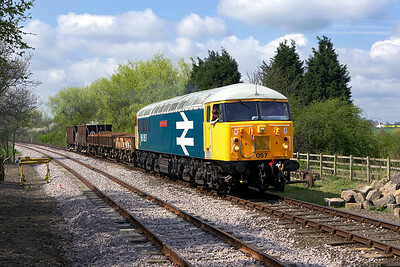 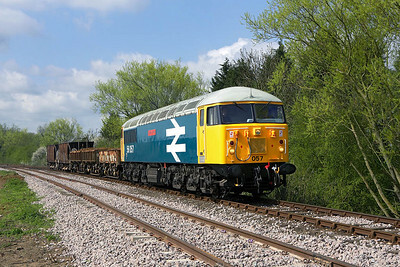 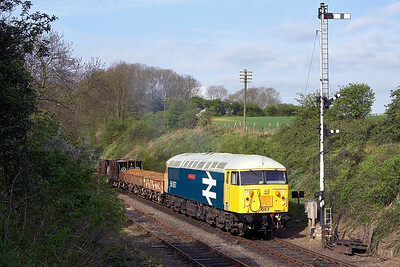 56057 is pictured in Wansford Cutting on a short ballast/spoil train during the EMRPS Photo Charter of 28/04/2006. 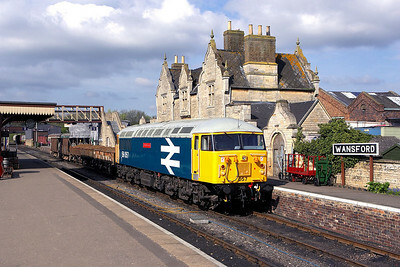 56057 stands in Wansford station on 28/04/2006 during an EMRPS Photo Charter. 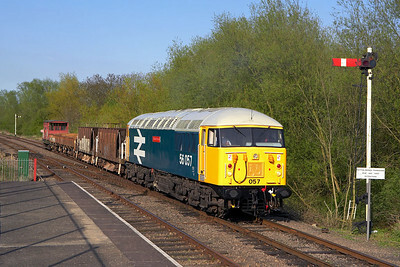 56057 departs from Wansford with a short ballast/spoil train on 28/04/2006. 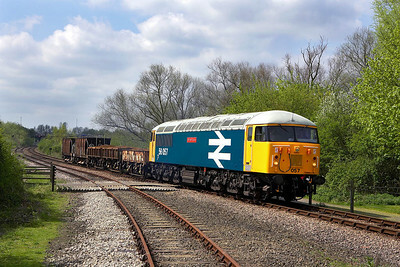 56057 stands on a short ballast/spoil train at Yarwell Mill on 28/04/2006. 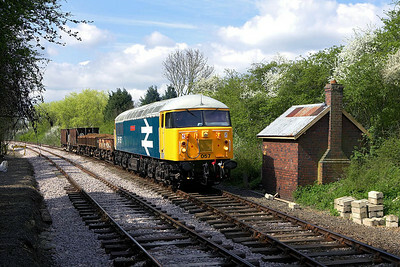 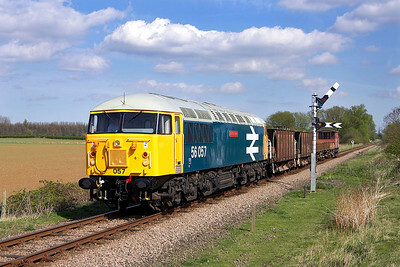 With a quick check that all is clear, 56057 prepares for the off at Yarwell Mill on 28/04/2006. 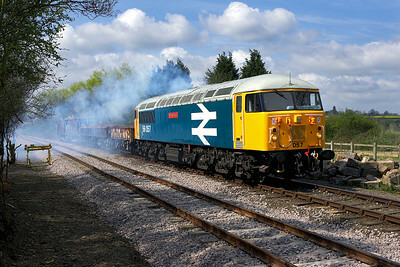 56057 makes a characteristically smokey departure from Yarwell Mill on 28/04/2006. 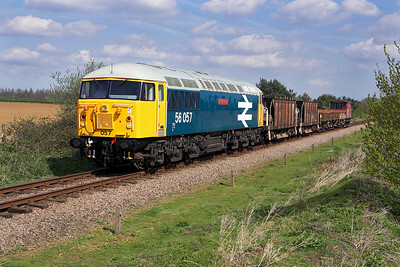 56057 stands at Yarwell Mill on 28/04/2006 with a short ballast/spoil train. 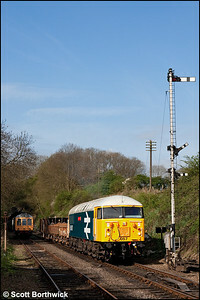 56057 stands at Longueville Junction during the EMRPS Photo Charter on 28/04/2006. 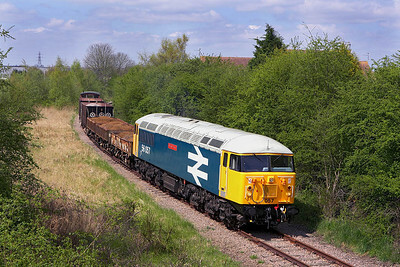 56057 is photographed from the London Road overbridge on the Fletton Branch during the EMRPS Photo Charter of 28/04/2006. 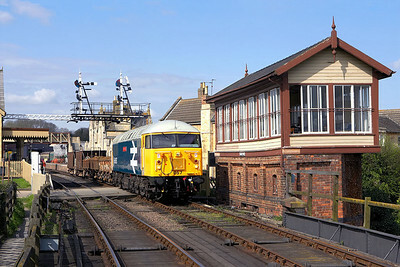 56057 awaits entry into Wansford station on 28/04/2006 as 'Ballinruan' heads east on the River Nene. 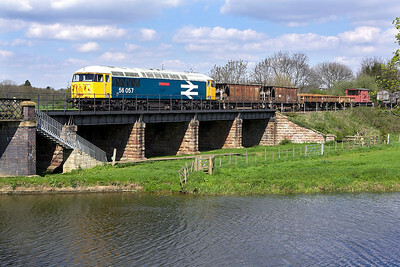 Resembling a DMU drag during the 1980's, 56057 drags DMU vehicles 59508 & 51347 across the River Nene at Wansford on 28/04/2006. 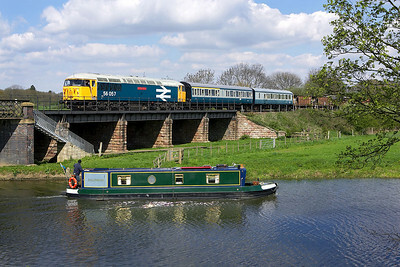 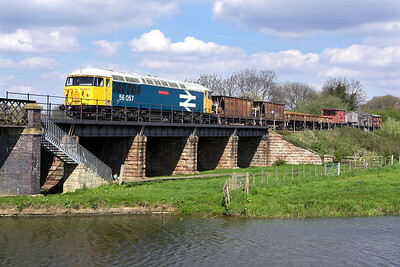 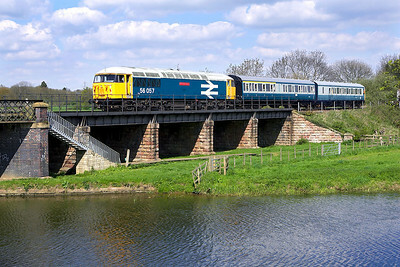 56057 crosses the River Nene at Wansford with its short ballast/spoil train on 28/04/2006. 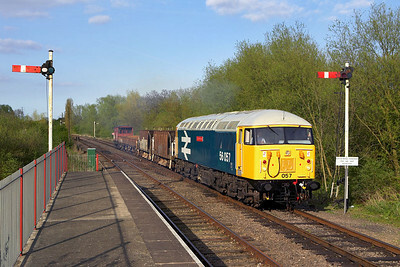 56057 approaches Sutton Cross with a short ballast/spoil train on 28/04/2006. 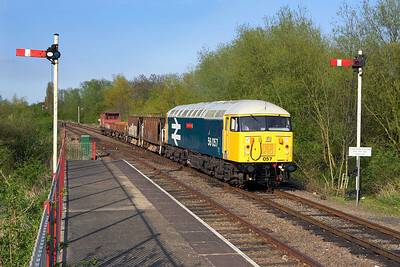 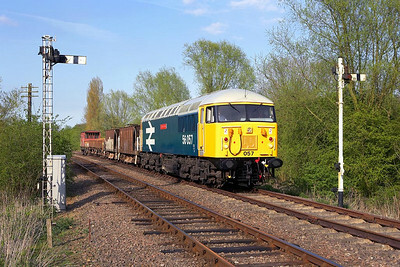 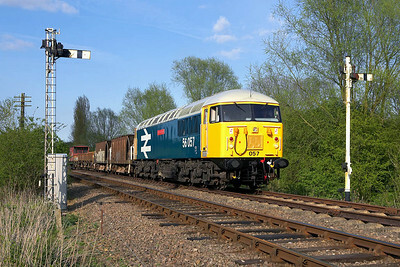 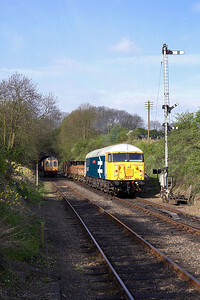 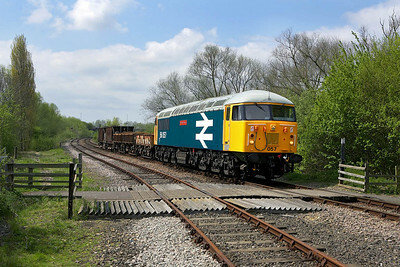 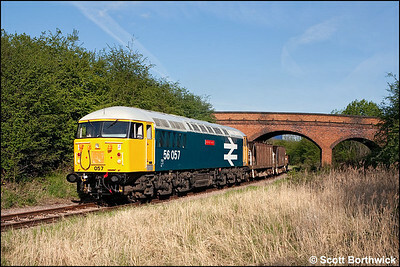 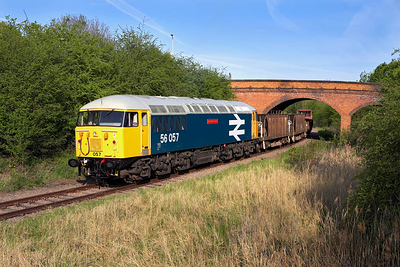 56057 is pictured passing under the London Road at Fletton during an EMRPS Photo Charter on 28/04/2006. 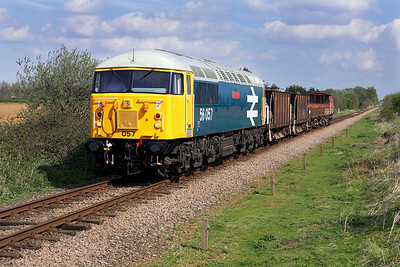 56057 comes off the Fletton Branch at Orton Mere on 28/04/2006 with a short ballast/spoil train. 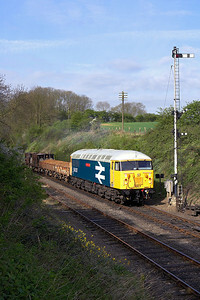 56057 arrives at Orton Mere on 28/04/2006.